Story about us - pinball-shop.de - also near you! 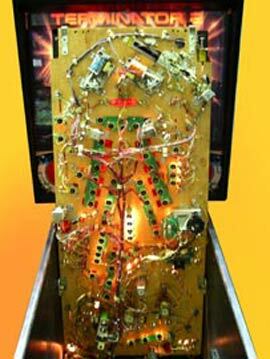 Meanwhile we find in in the 20th year since we began with the restoration of pinball machines to commercial purposes. 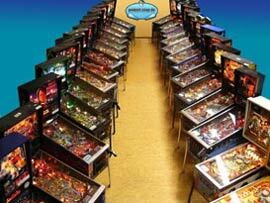 Pinball Shop was the first company in the German Internet who was offering restored pinballs. 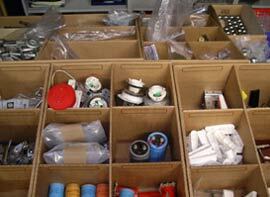 Also Customers from the USA, Arabia, India and much more countries outside Europe. The whole started from the love for pinball-machines in the youth time as still the mechanical pin-ball machine was dominant. We experienced the following development phases of the first electronic pin-ball machine up to the modern and technically thought out pin-ball machines of the 90's intensively through. The majority of our technicians are international pin-ball tournament players for years and have thereby a special relationship to the devices. Especially as intensive players you know, how much fun you can have with a pin-ball machine if it's 100% working and admits all expirations of play. The time when the pin-ball machines were applied for not sociable is long gone. Meanwhile also personalities from the policy like ministers of economics Schaper or Prime Minister Öttinger play such devices and have thereby much fun at special models, which we built in our own enterprise. Prime Minister Öttinger during a game with a unikat pin-ball machine, built by the Pinball-Shop. 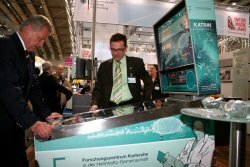 Minister of Economy Ernst Pfister during a game at our Katrin-Neutrino pin-ball machine. For firm celebration and presentations of international companies we make technically high-quality pin-ball machines available and provide for maintenance for the international audience. The trend goes more and more to the perfect pin-ball machine, which hits the technical and optical maximum limit and which represents new challenges for our staff to do even better. 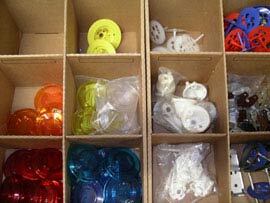 We are especially proud on orders for restorarion for devices of the 70's and 80's. With high condition class desires these devices will be technically developed again and receive a completely optical facelift. In view of the fact, that there are again original spare parts, housing foils, playing field parts and new plates since the last years, our completion possibilities rose qualitatively strongly with the restoration. So it's possible for us to overbear technical and optical borders, which would have been inconceivable some years ago. 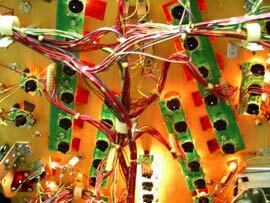 For this reason it would take 3-5 months to restorate an old pin-ball machine. Alle beschädigten Teile werden durch original Ersatz- und Spielflächenteile ersetzt die wir weltweit direkt von Ersatzteilherstellern und Großhändlern beziehen.